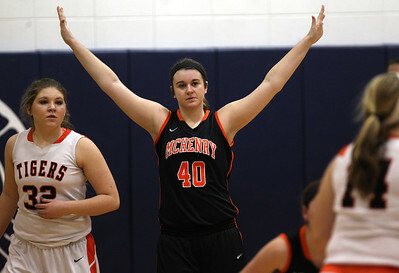 H. Rick Bamman - hbamman@shawmedia.com Crystal Lake Central's Ann Grischow (left) guards McHenry's Greta Taylor in the Class 4A Cary-Grove Regional game Monday, Feb. 17, 2014. first Central beat McHenry 39-35. 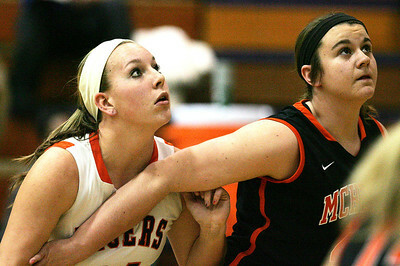 Central will play Prairie Ridge in the regional semifinal game Wednesday, Feb. 19 at 6 p.m.
H. Rick Bamman - hbamman@shawmedia.com McHenry's Carly Mattson drives past Crystal Lake Central's Ann Grischow during the Class 4A Cary-Grove Regional game Monday, Feb. 17, 2014. H. Rick Bamman - hbamman@shawmedia.com Crystal Lake Central's Shannon Ellman and McHenry's McKayla Snedeker vie for position for a rebound during the Class 4A Cary-Grove Regional game Monday, Feb. 17, 2014.Central beat McHenry 39-35. 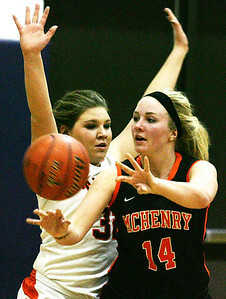 H. Rick Bamman - hbamman@shawmedia.com McHenry's Kayla Snedeker defends under the basket in the Class 4A Cary-Grove Regional game Monday, Feb. 17, 2014. H. Rick Bamman - hbamman@shawmedia.com McHenry's McKayla Snedeker, (from left) Greta Taylor and Gabby Schweitzer wait to enter the game during the Class 4A Cary-Grove Regional game Monday, Feb. 17, 2014. 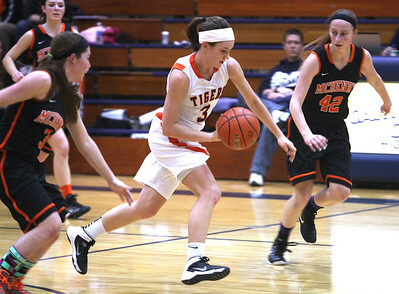 H. Rick Bamman - hbamman@shawmedia.com Crystal Lake Central's Evelyn Youel (center) drives through McHenry defenders Carly Mattson (left) and Katlyn Sena (right) in the Class 4A Cary-Grove Regional game Monday, Feb. 17, 2014. Central won 39-35. 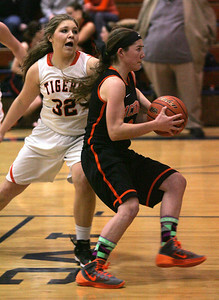 McHenry's Carly Mattson drives past Crystal Lake Central's Ann Grischow during the Class 4A Cary-Grove Regional game Monday, Feb. 17, 2014.